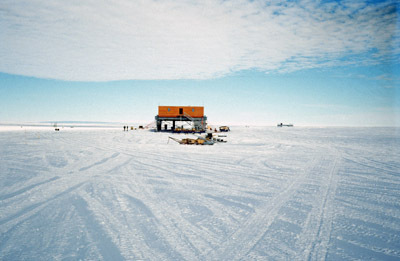 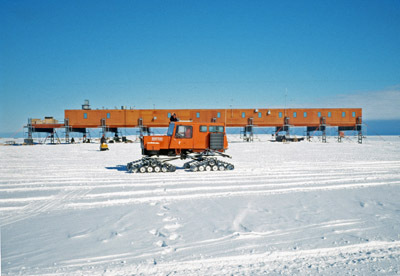 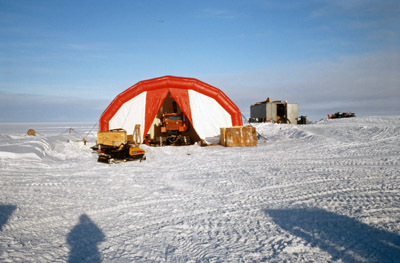 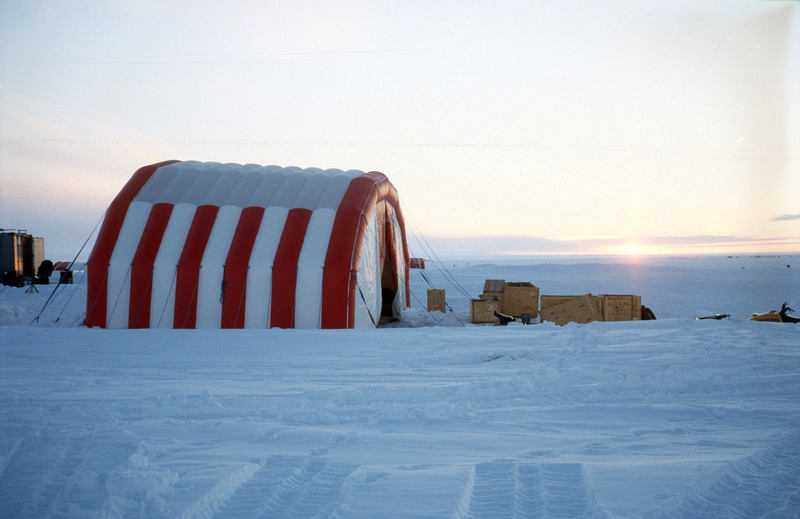 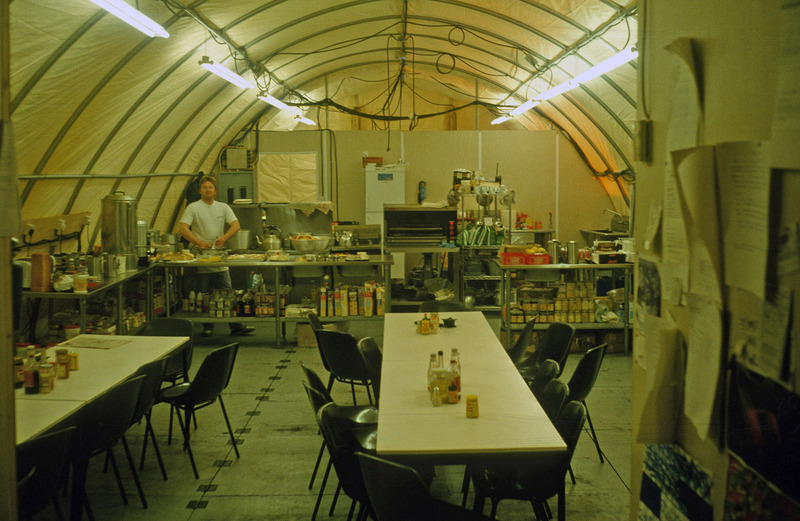 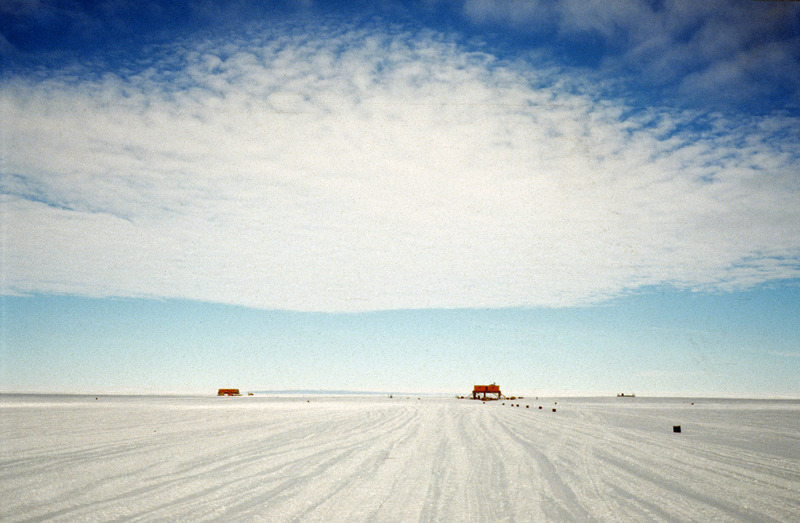 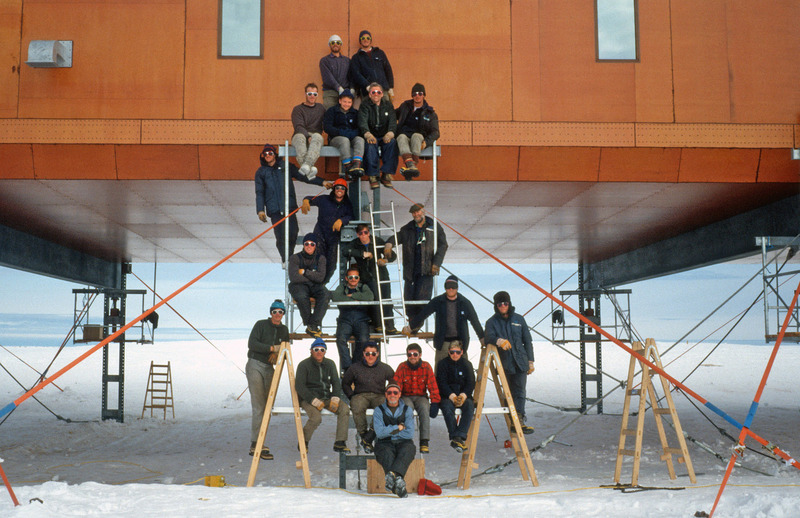 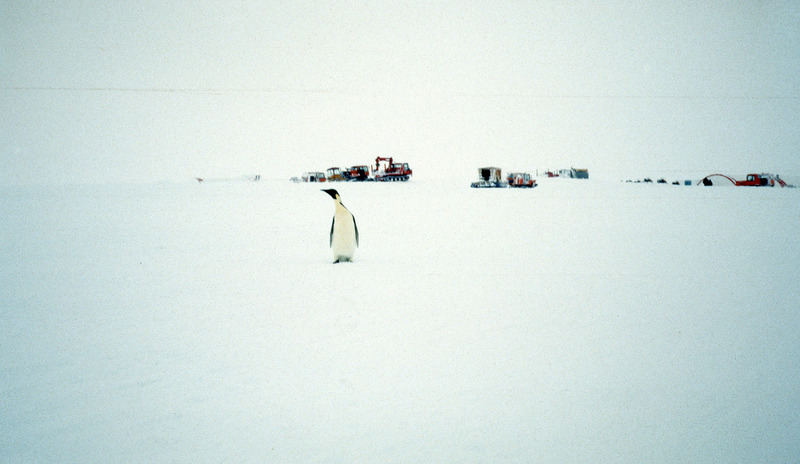 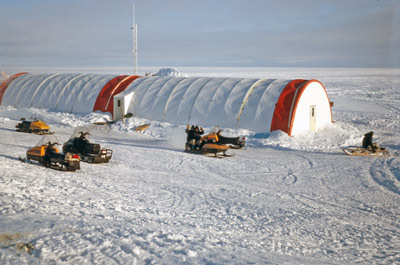 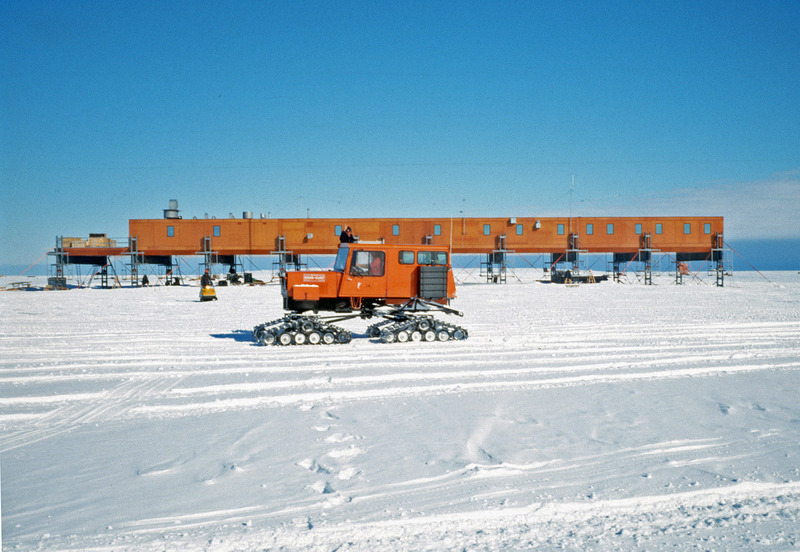 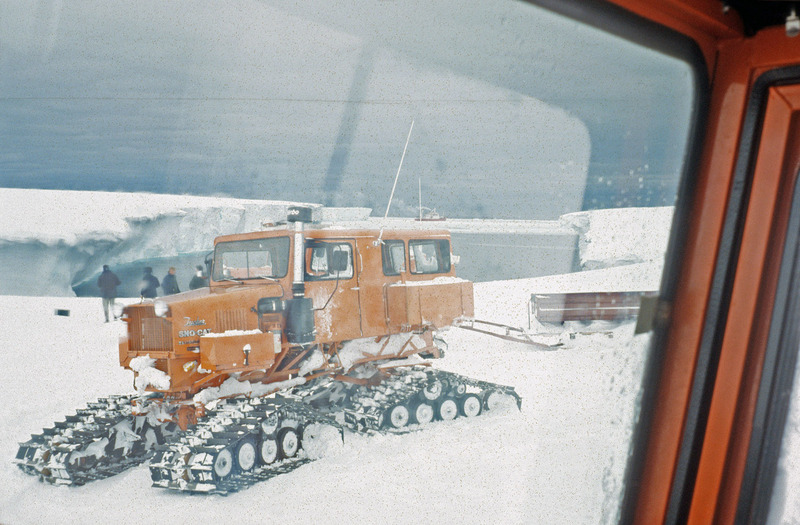 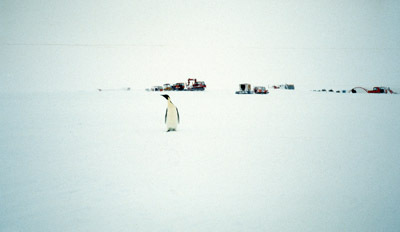 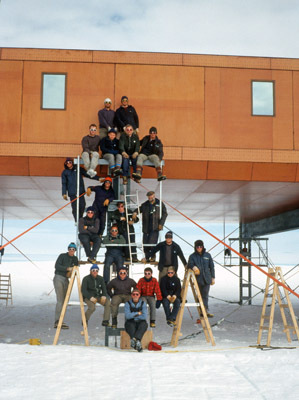 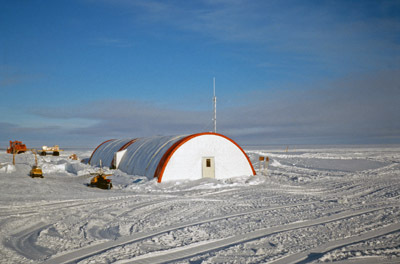 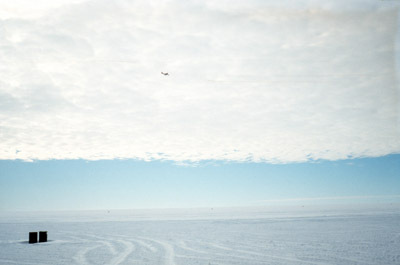 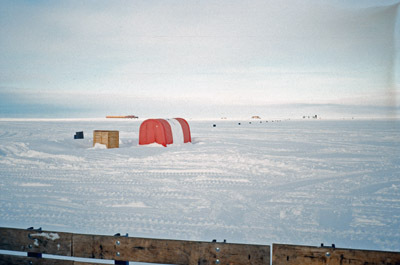 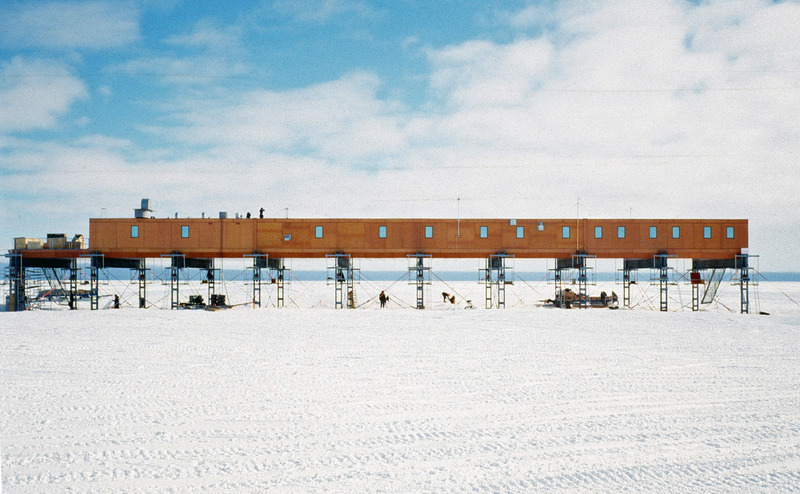 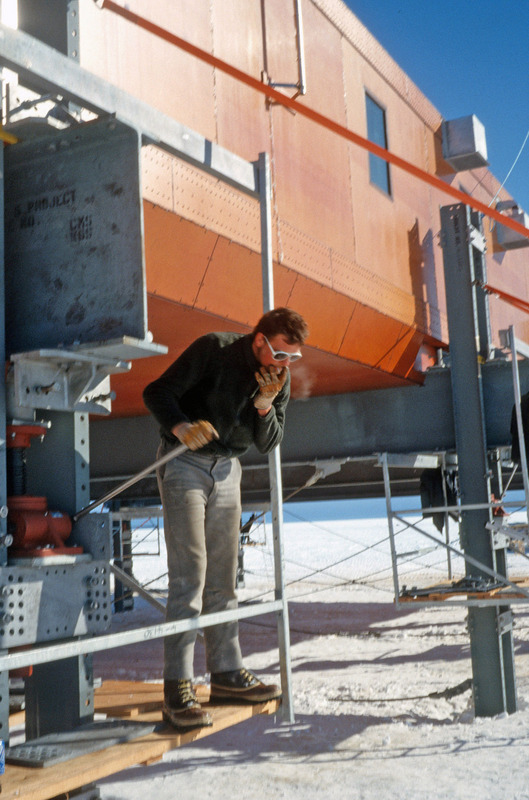 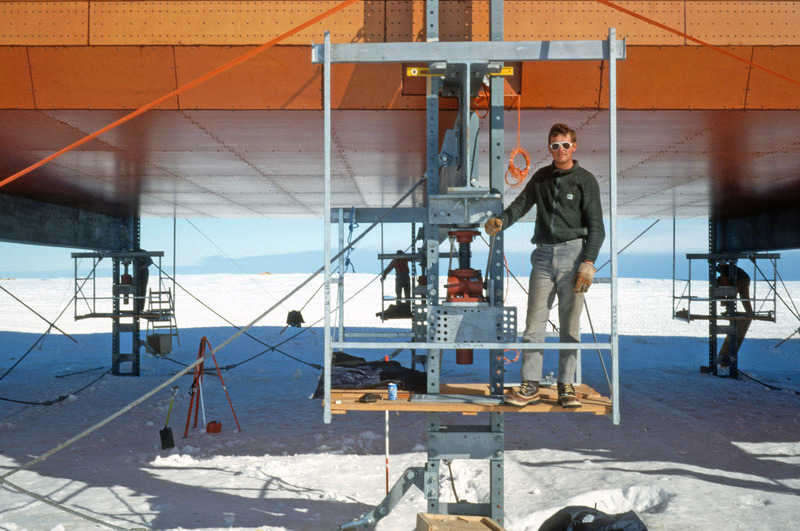 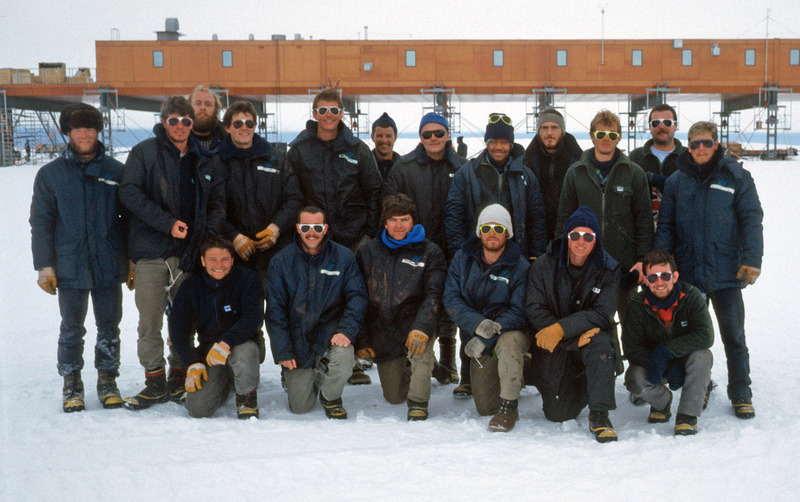 Halley V was the fifth base built by the British Antarctic Survey on the 130m thick Brunt Ice Shelf. 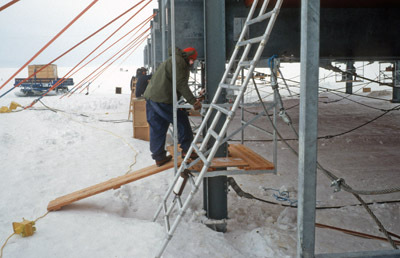 It was the first that was designed not to be buried by snow accumulation, being an elevated station on jackable legs. 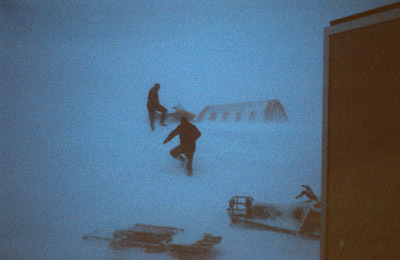 The raised position allowed wind and snow to blow underneath it and avoid drifting, when the snow did eventually build up, the whole building was jacked annually up on its steel legs to again be clear of it. 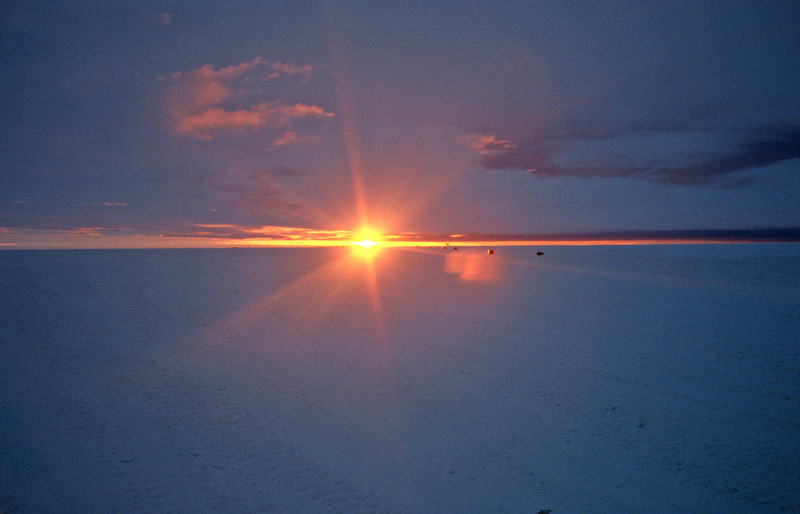 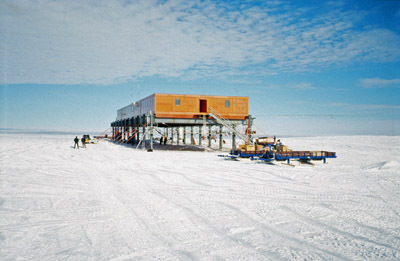 The station lasted from 1989 to 2012 when it was supeceeded by a new station called Halley VI - 6. 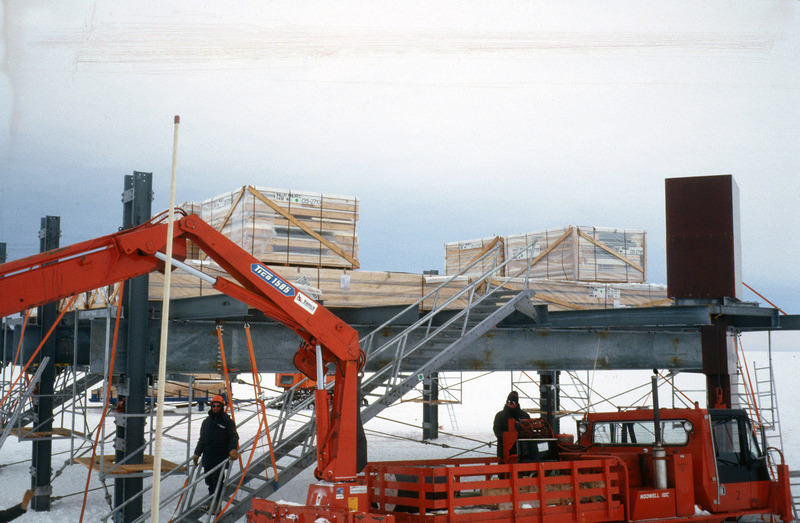 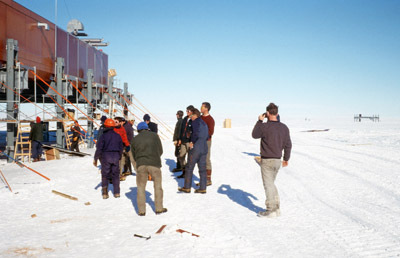 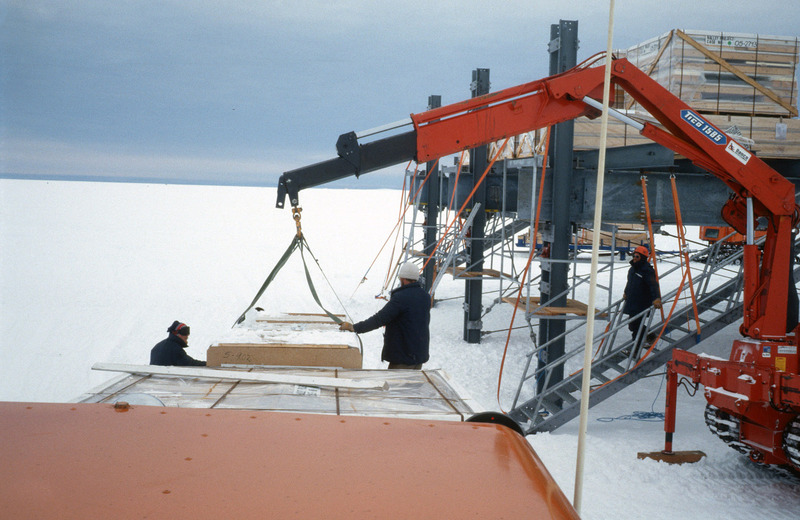 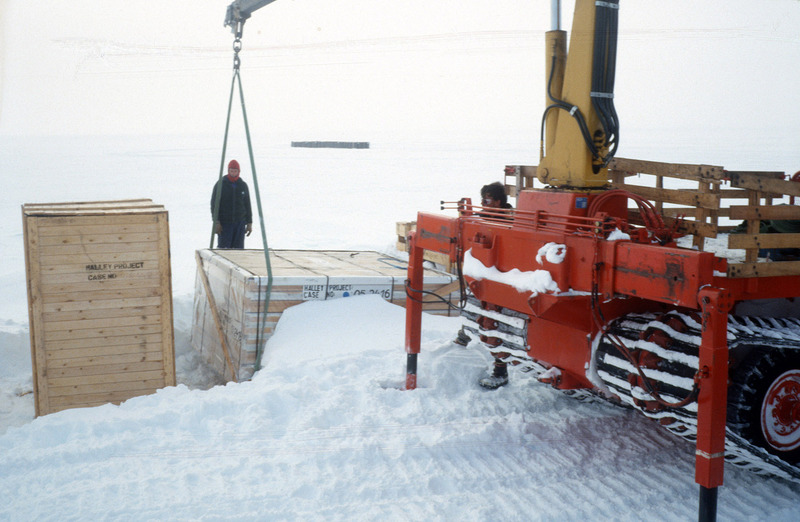 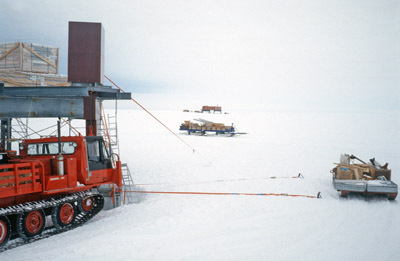 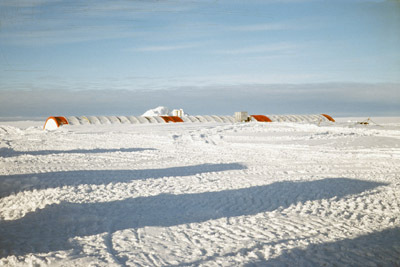 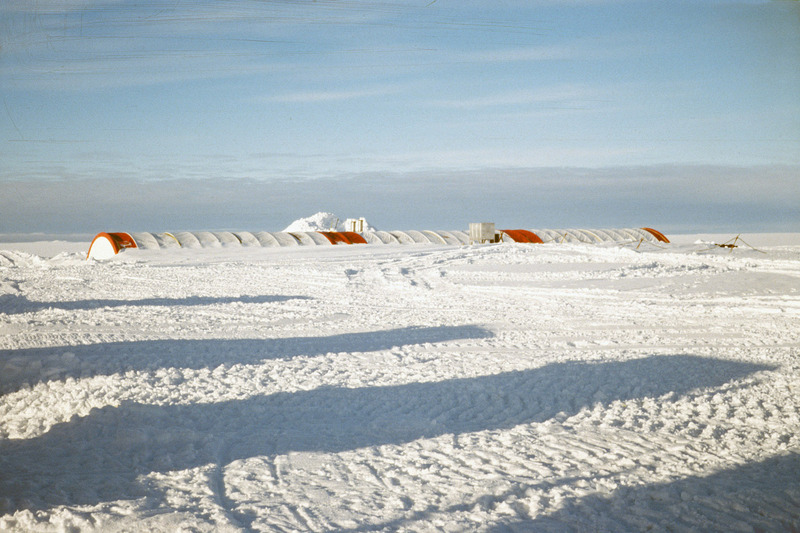 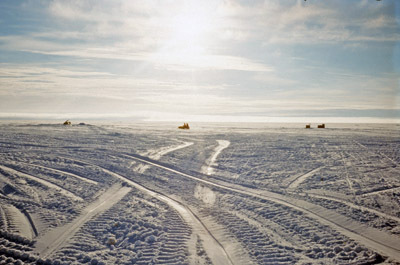 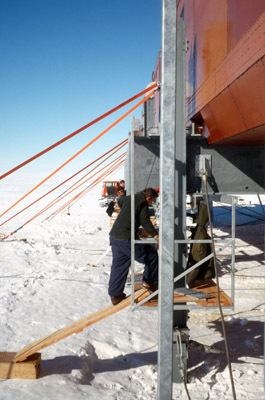 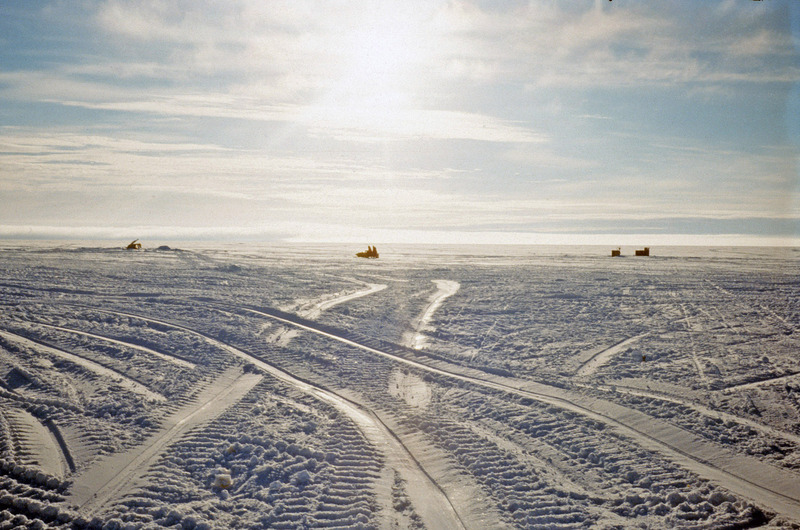 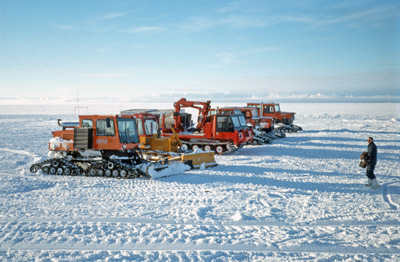 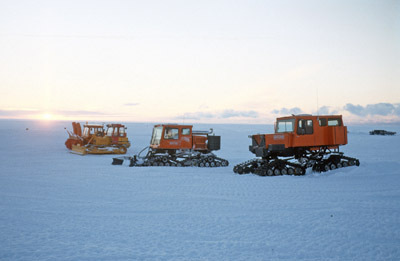 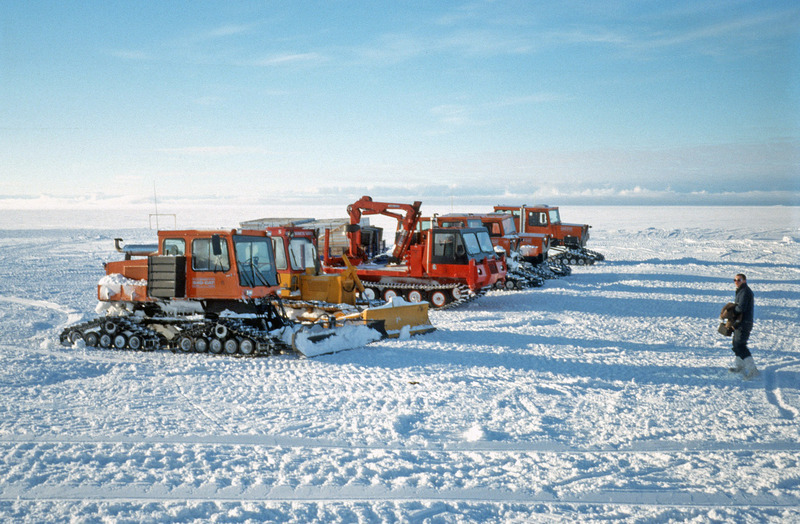 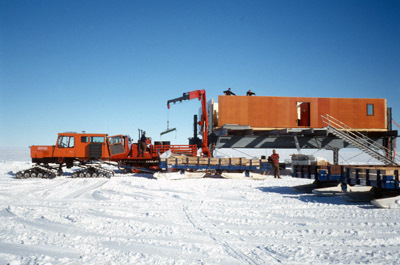 Unlike the previous Halley stations which were buried and crushed by snow and ice and then eventually will flow out to the edge of the ice-shelf to be lost to the sea, Halley V was dismantled and removed from Antarctica. 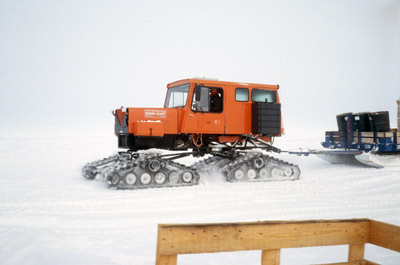 It was replaced as it was in danger of being lost in an ice berg calving event. 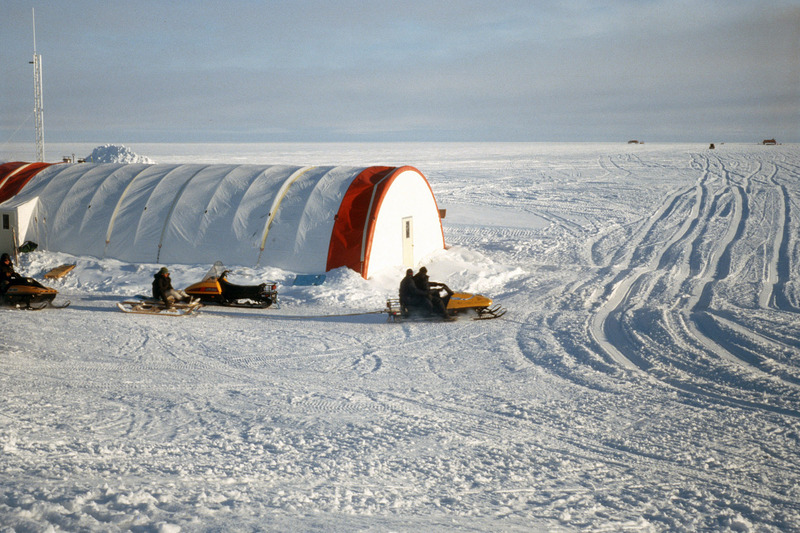 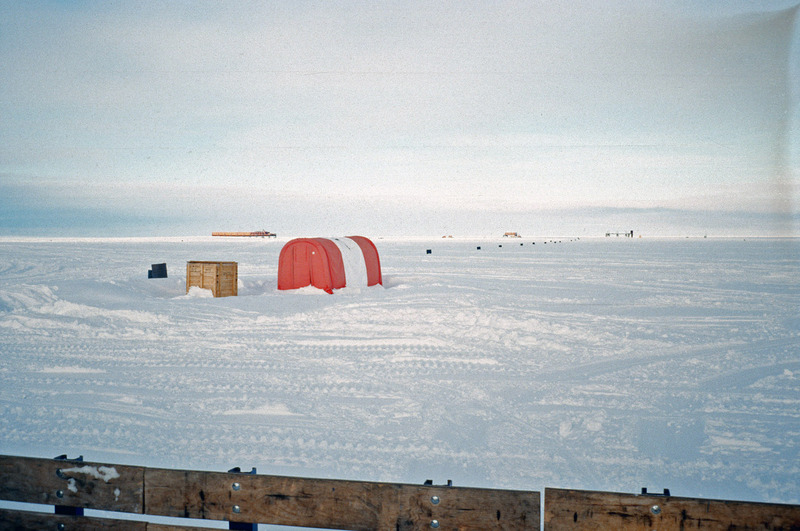 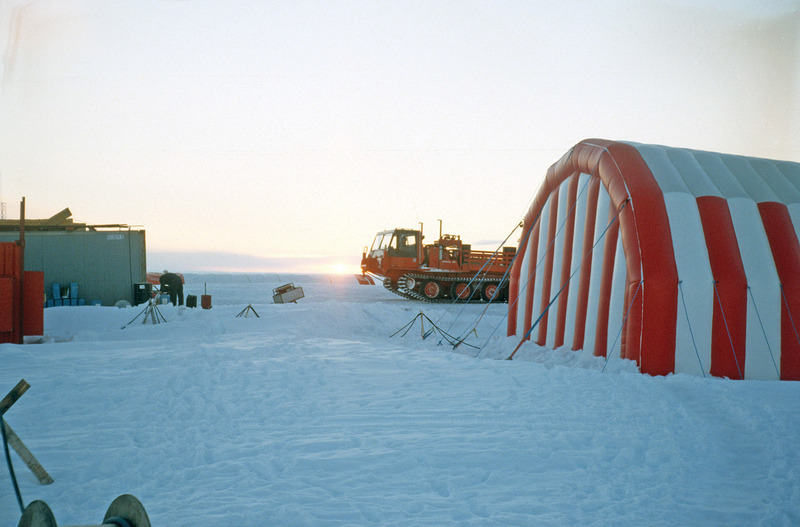 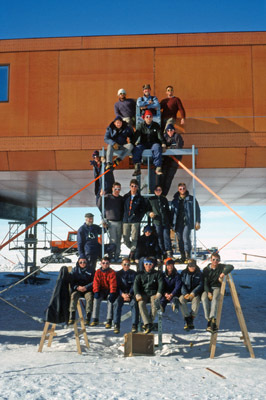 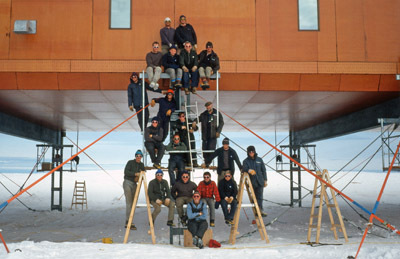 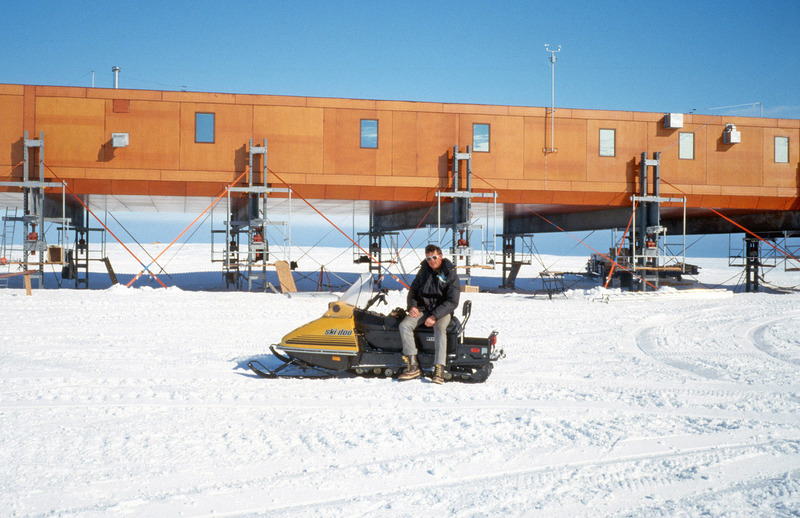 The new station, Halley VI, in operation since 2012 is jackable and mounted on skis too so that the whole base can be relocated as it is due to be for the first time in 2016 / 2017.